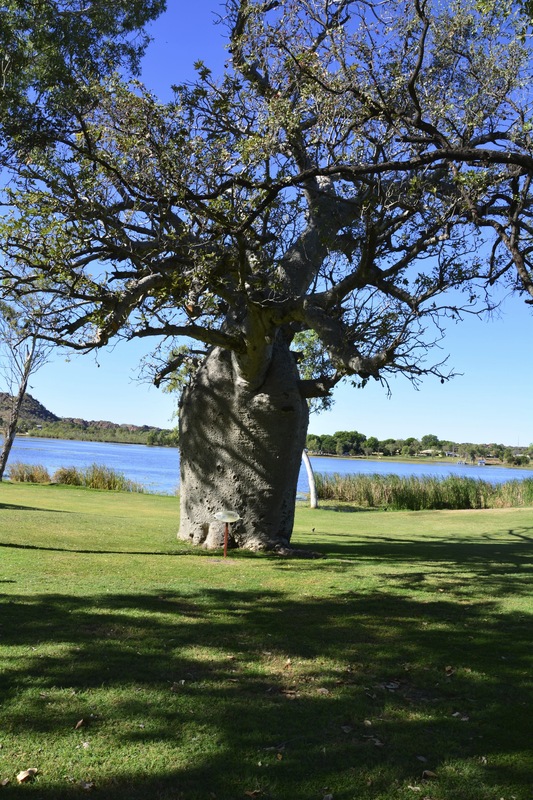 Boab Tree – now we are in WA we are seeing them everywhere – love them! Today we had a very long drive and to fill in the last hour and stop the fighting and whinging before we stopped for lunch at Halls Creek, (after listening to a whole Famous Five audio book) we decided to go round the car and see what everybody’s thoughts are on the trip now that we have been on the road for 8 weeks!! It has gone so fast, but leaving Brisbane two months ago seems like forever too if that is possible!! What have we missed the most since being on the trip? Jack – having good friends – only friends now are the others (pointing to Lex & Tobes) and they’re not really friends. Icecream, miss playing with my hockey team, the trampoline and my bike. Toby – my toy cars drawer from home, Patrick and Ashlin. Jess – time to myself! Keeping up to date with my favourite blogs, having a long hot shower by myself, sitting on the soccer field in the afternoon at school pick up time chatting to my lovely mum friends and going to book club! What are our favourite things about the trip? Matt – spending every minute with the family exclusively, going to bed and waking up at regular times, seeing something and doing something new everyday, no work, no schedule. Jess – the thrill of pack up day and heading somewhere new with new things to see – not knowing where we will be next! The live music at the campgrounds, the feeling & sound in the evening at campgrounds of people socializing, relaxing & cooking dinner. Eating out for dinner or breaky every now & then! Jess – walking one child all the way over to the toilet at the ablution block only to come back and have another ask to go – grrrrr!! Or the same child ask to go back again five minutes later!! The cold nights! The car/camper breaking down and having to spend a precious week of our now shortened trip in Tennant Creek! Looking back on our blog posts has helped us realise that we really have seen and done lots of great things in the last two months and even though our trip has been shortened, we are really excited about what our last month on the road will have in store for us – bring on the beach – wahooooooo! 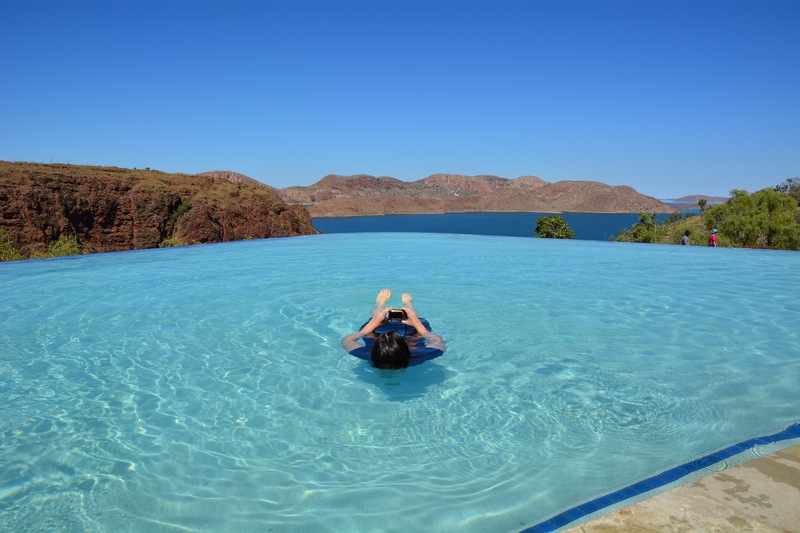 Getting in some ‘relaxing’ practice in readiness for hitting the beach – this was me in the pool at Lake Argyle Caravan Park yesterday – freezing but beautiful! I will miss the thrill of checking my inbox to see ‘where the bloody hell are you!” in this beautiful country of ours! Never mind, plenty more adventures to come! I am not going to miss the kids asking, “Can we go there Mum” “What about there Mum” lol Glad Famous Five audio book worked! thats a really cool post!! More of these please!!!! When you are travelling with your family you have time to reflect on what’s really important to you – I often find myself thinking that I hope my kids take the lessons learned whilst travelling on into their own lives – good friends and good relationships are more important than big houses and possessions.